How could I forget yesterday to say Happy Fourth of July?! I hope your celebrations were festive, the food delicious, and all your cook-outs not too hot. The temps have cooled here just a little but still no rain. I have two pieces of great news. We just got the call from Air France that my luggage should arrive today between 11 and 2pm. What a project this has been, but I’m indeed grateful to retrieve all of my belongings. AND my heart is full as I share that my daughter, Natalie, is coming over for a visit the last week we are here! I have so much wanted to share Paris with her while we are still able to make the trip. She initiated this and is equally excited. Her children are just at the wrong age in her opinion to come as a family so at least she and I and Bernie can create lasting memories which I hope she will cherish. She arrives on August 8th for 7 days. The ticket is bought! Today is cleaning and laundry day. 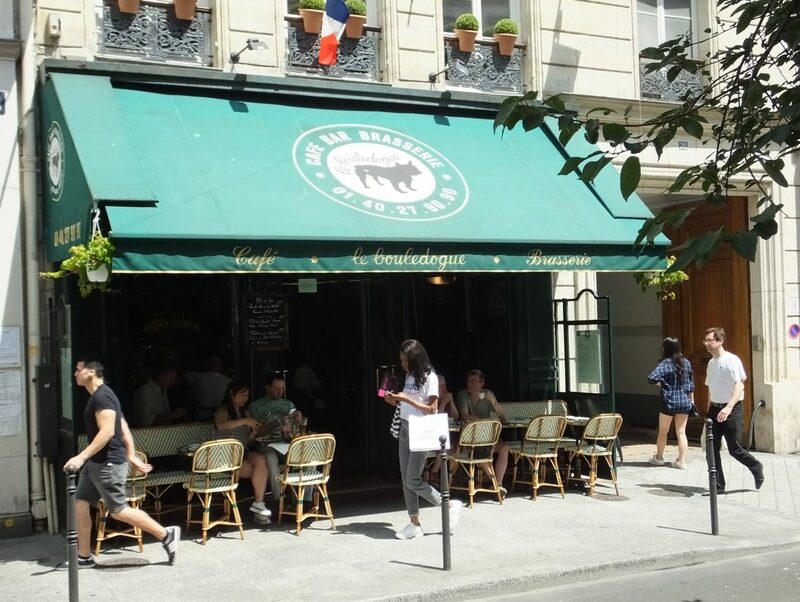 Even in the delight of Paris, “stuff” still has to be done. Certainly not my favorite day, but we have our system down and need to stay close by for the luggage delivery anyway. Yesterday, our plan was to eat out for lunch and eat in for dinner. 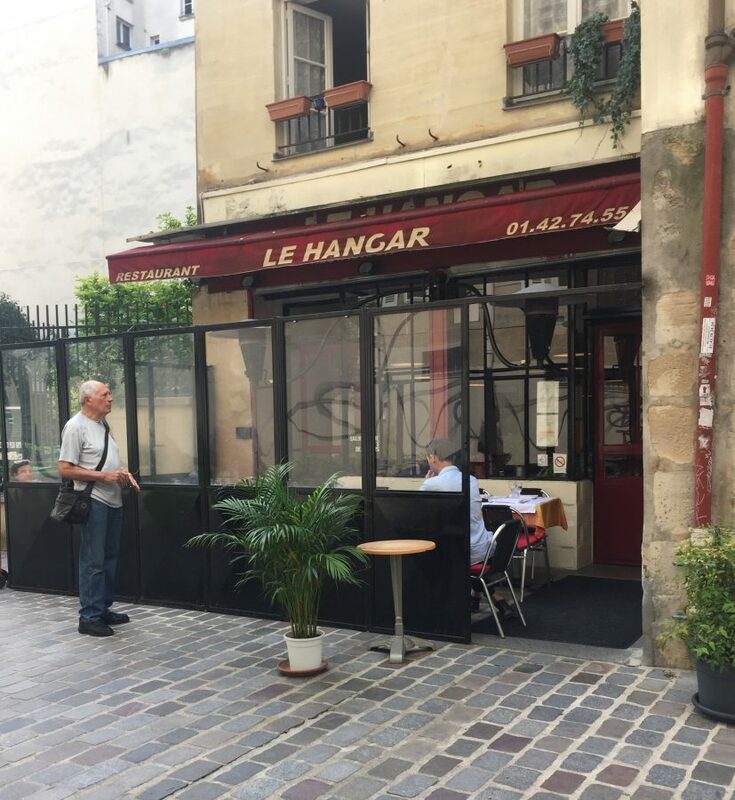 We took the recommendation of our friend Carolyn Barnabo and tried a new place called Le Hangar which is close to us in the third arrondissement near the Pompidou museum. 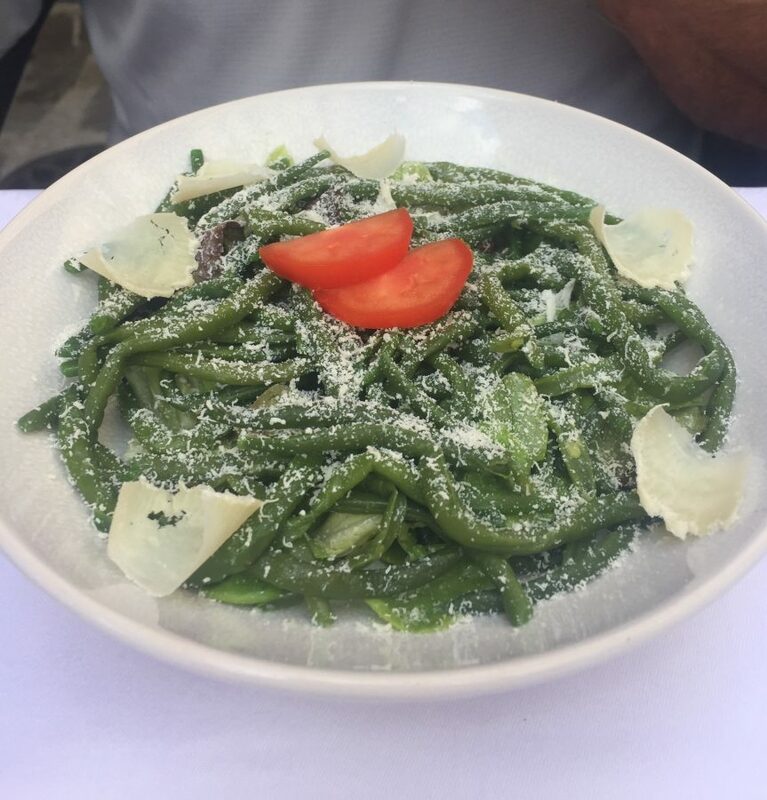 It was simply delicious, and we took note that the inside is air-conditioned. It’s a bit pricey but worth every euro. 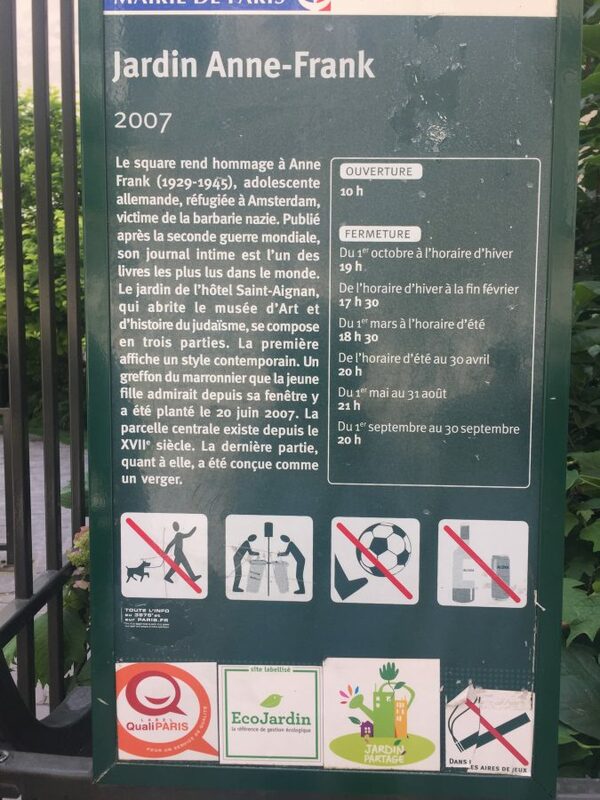 It is situated on an “impasse” or dead end street which opens into a beautiful garden, “Jardin Anne Frank.” Hope you enjoy the pics. 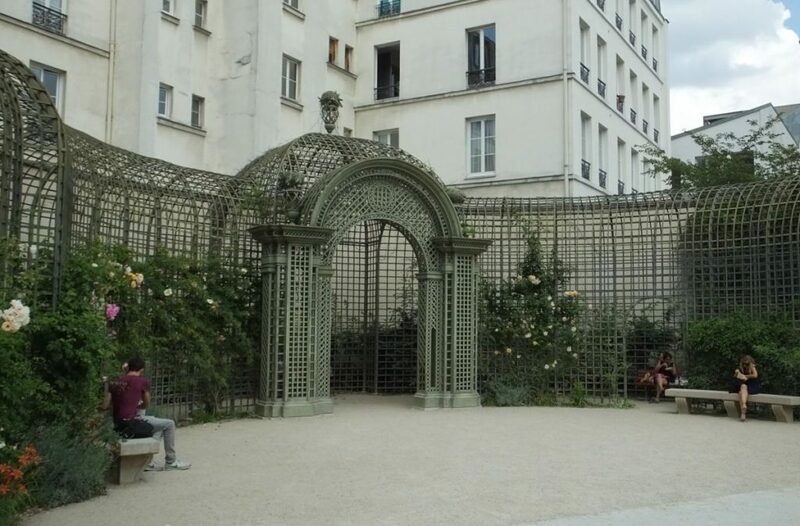 This spot is quaint, quiet, shady and so very Parisian. My starter or entree was avocado gazpacho. I was very bold and got the seared foie gras on mashed potatoes. Oh-là-là! It was delicious, and Bernie had to help me eat it. Absolutely, no calories. 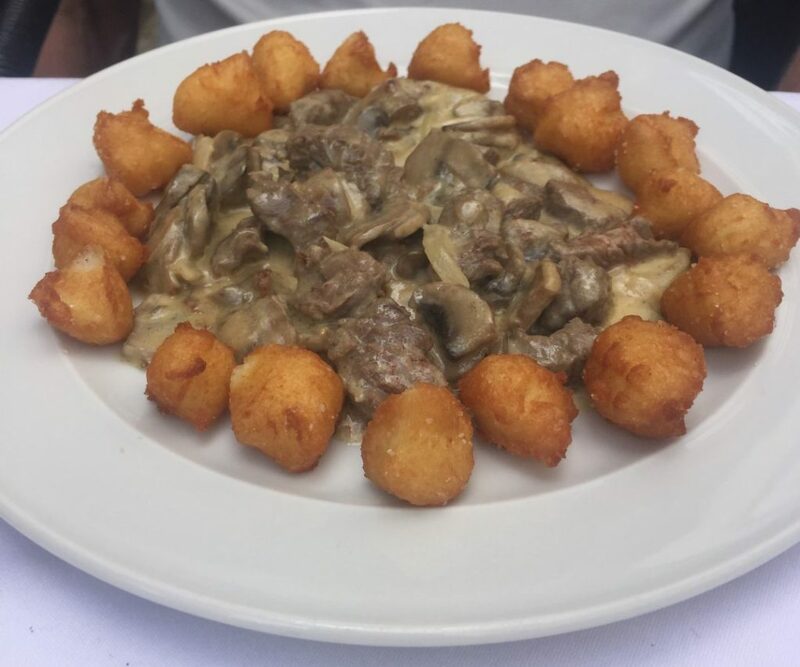 Bernie had the beef stroganoff with something equivalent to home-made tator-tots. 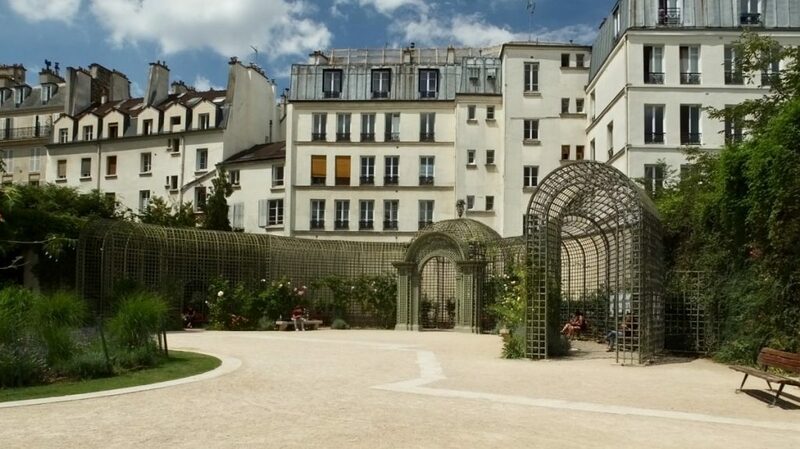 This area is the main Jewish district of Paris so an appropriate park to find tucked away. Lavender which was FULL of bees. 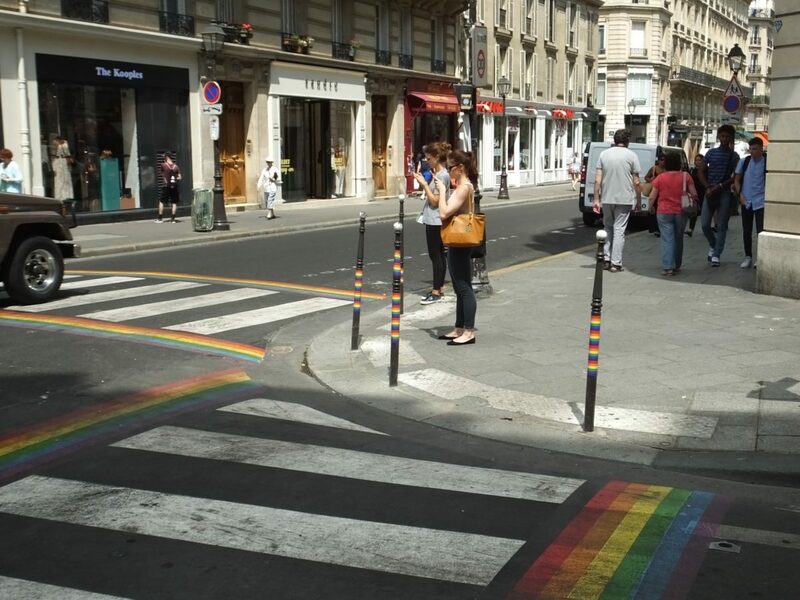 This area is most definitely the Gay district. 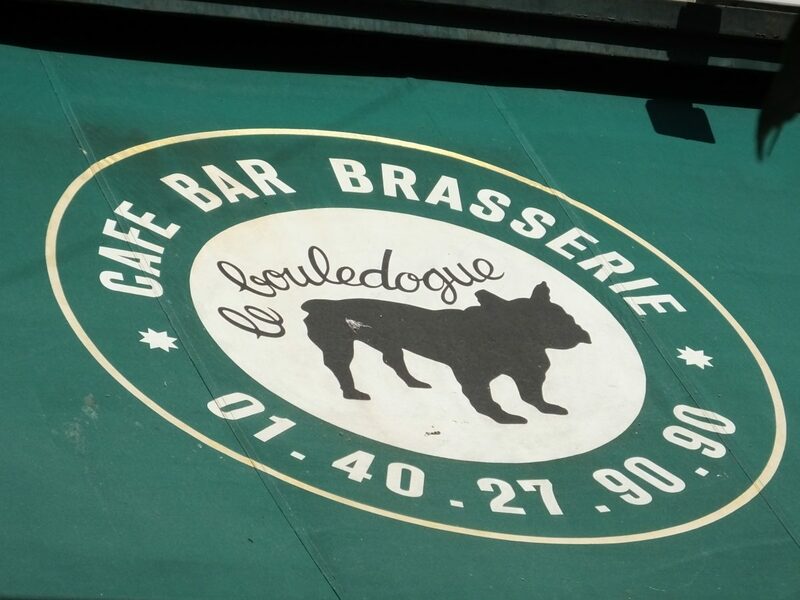 Bernie thought the name of the cafe was hilarious…bulldog. 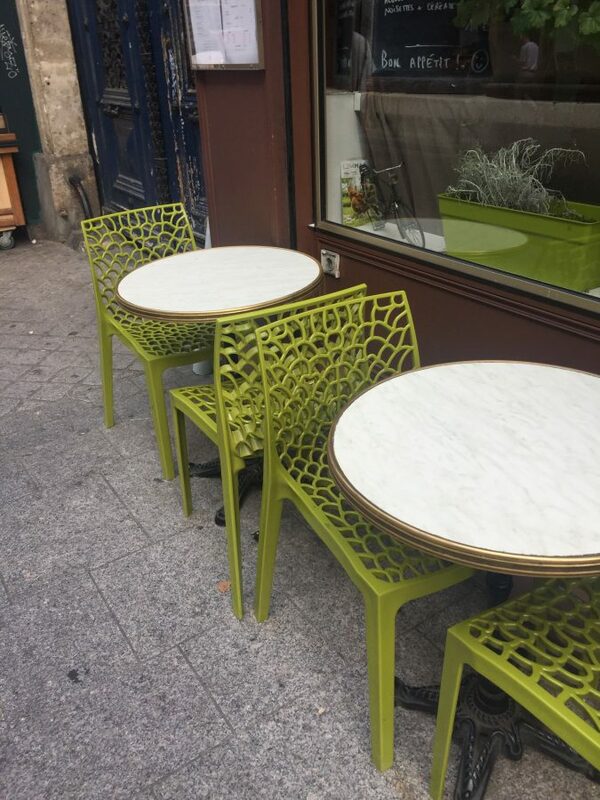 Cafe chairs still entice me! 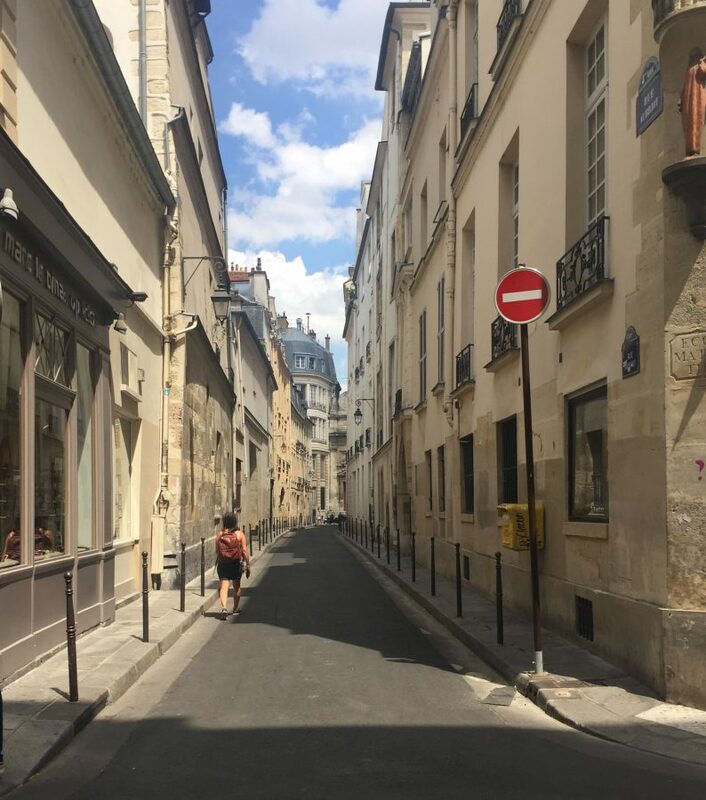 Typical street in the fabulous Marais…why we love it so. It was hard to pick the best “street scene” shot of the day but I have chosen this one. What say you? This guy dressed all in white had the longest legs I’d ever seen. It was more dramatic from the front, but couldn’t get that discreetly. 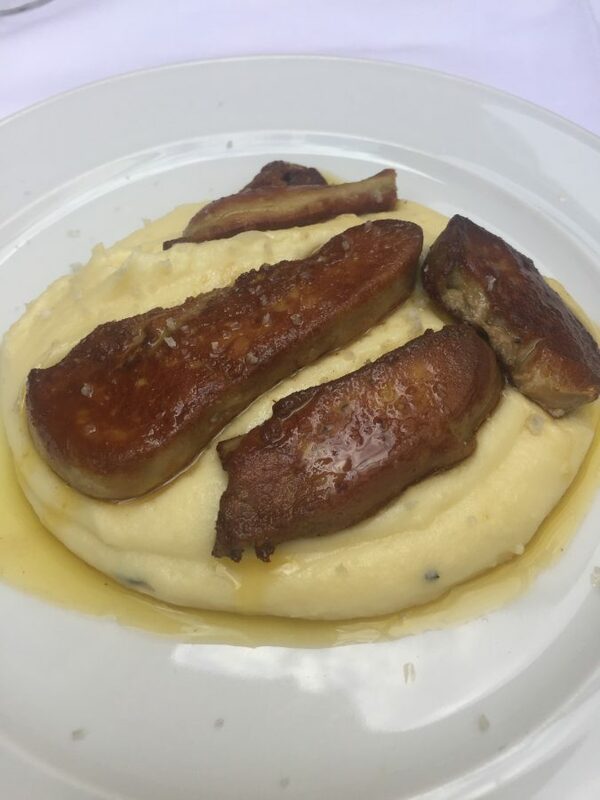 Your griddles foie gras dish on pomme purée is my idea of heaven . Hope it tastes as good as it looked. It was SO delicious but very rich. More foie gras than I could ever eat in one sitting. 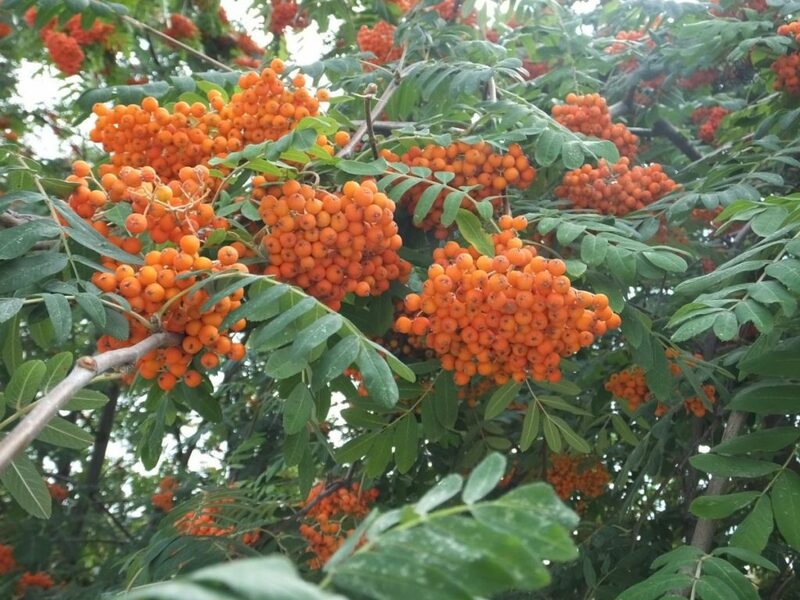 I think it is a mountain ash. 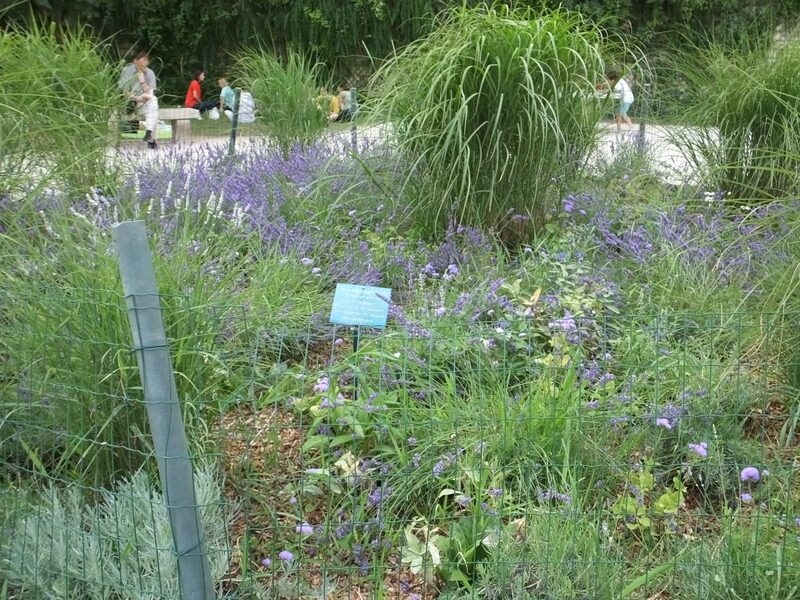 Love the Anne Frank garden. Did your cantaloupe gazpacho have cucumber in it and a tiny bit of vinegar? I am obsessing on recipes for it. Lin, as to the cantaloupe gazpacho, I didn’t detect any cucumber but I don’t have the most sophisticated palette. It was totally sweet, but not too sweet, no vinegar. It was almost creamy and icy, if that helps. Linda, that does help actually and I will search other kinds of canteloupe gazpacho recipes now. I didn’t really want to try it with cucumber etc. as what is appealing in your photo is the intensely canteloupe colour and flavoured look of it.. I have seen a recipe that had a few peaches in with the canteloupe which maybe would give just the right touch of sweetness. Thank you! My favorite picture today is the one with what appears to be a group of students/friends sitting in a circle under your mystery tree. Happy to hear you are scheduled to retreive your bag 💼 today. I do enjoy this with coffee early in the morning. 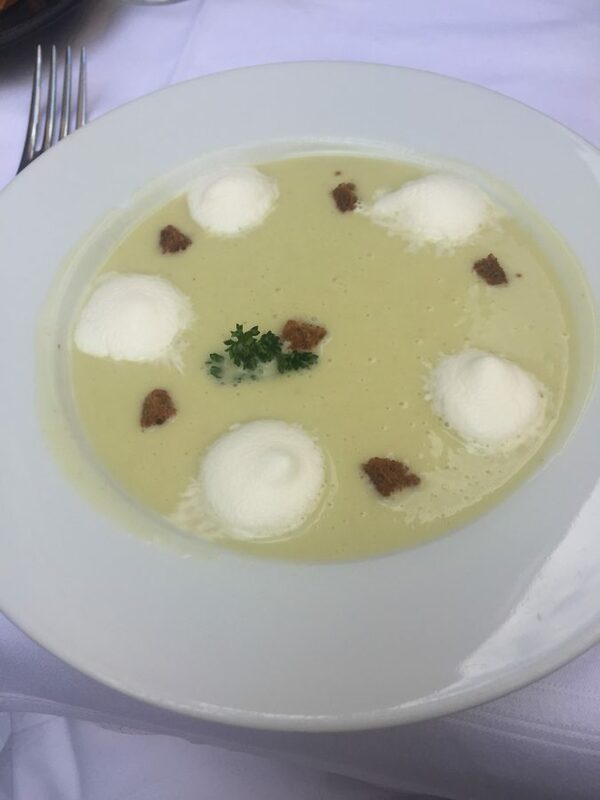 Tha gazpacho photos you have shared make my mouth water. And the gardens are lovely. Your Natalie was a student of mine and I enjoyed her so much. I am so excited for her and you and Bernie that she is coming. Great your luggage is on the way. Yes, I do remember that you taught Natalie. She’s pretty excited and so are we! My bag arrived about 12:30 and there was celebration in the street! Hurray about your daughter and about your suitcase! 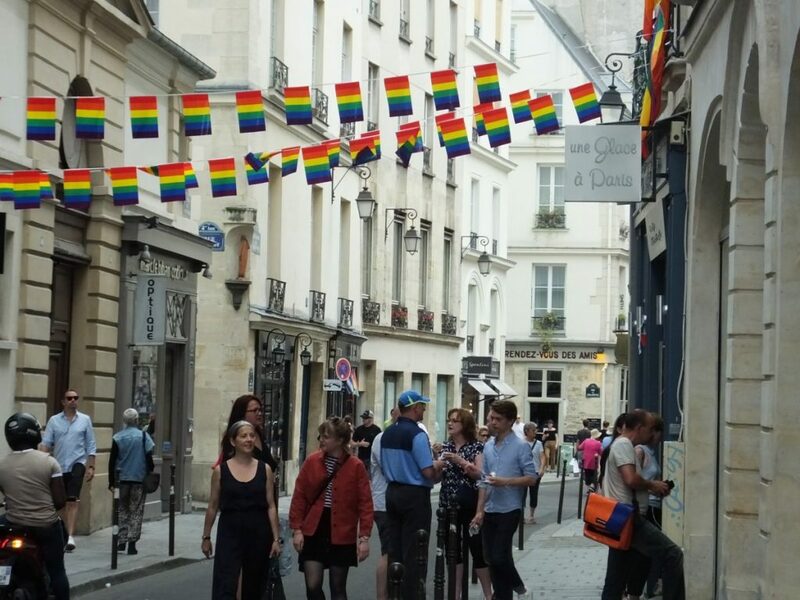 My vote would be the “Typical street in the fabulous Marais” photo. Linda, Great news about the luggage! 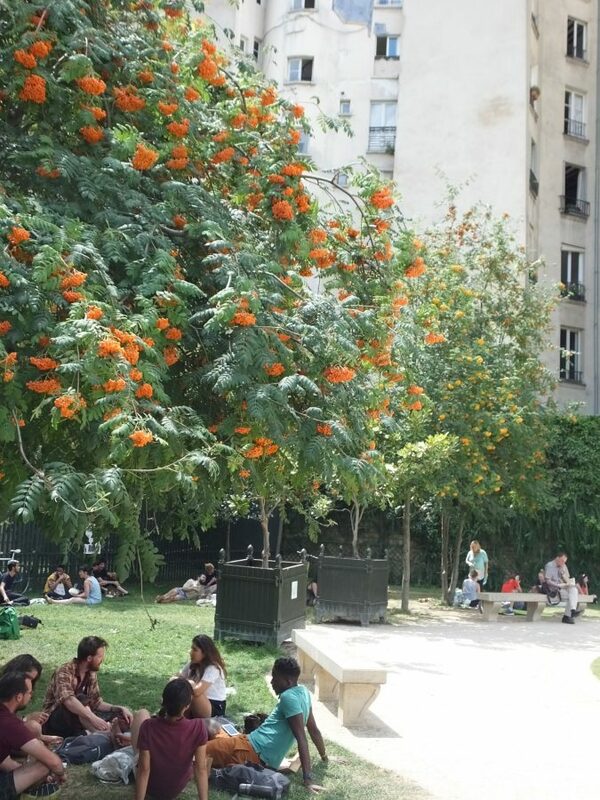 I believe the unidenfied plant/tree is called a European Mountain Ash. So glad Natalie is coming. That will be special for the three of you. I’d definitely prefer Bernie’s dish at Le Hangar. Sorry, I’m just not worldly enough for foie gras. Maybe the dear prices help pay for the ac😉 Hurrah for the luggage!!! Love this park!!!!! Miss you!!!! Well, I don’t exactly miss Huntsville, but miss seeing everyone. Paris is our summer place. Just saw a horrible accident right outside the lavomatic…still doing laundry. An older lady was struck by a huge delivery truck. I heard the hit, then screams and ran outside. Happened right in front of the fire station so immediate help was there. NO ONE pulled out a phone to take a picture which I found pretty amazing. 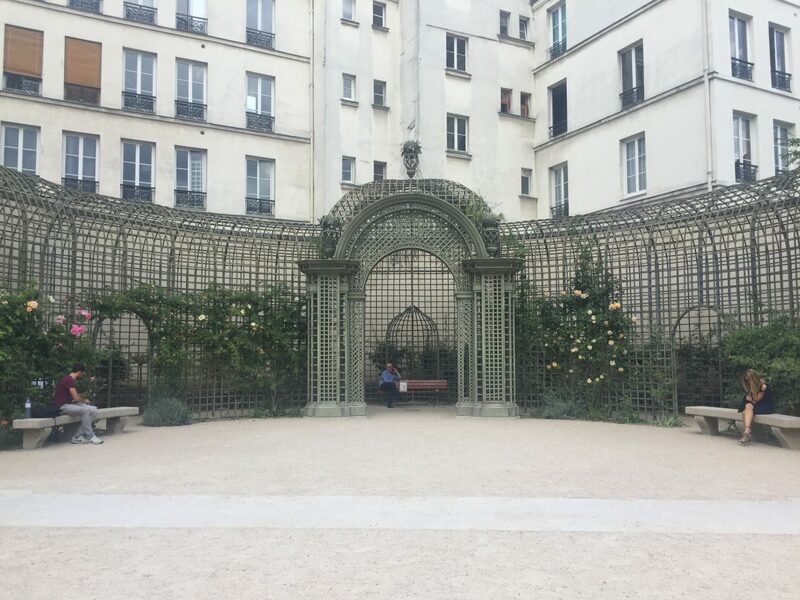 To answer your first question, I don’t believe there are any places inside the center of Paris for private gardens; however, I know along certain spots on the interstate, you see individual flower and vegetable gardens. I think you rent the space and work it on the weekends. The motorcycles are offensive creatures in Paris. They are everywhere, literally, and don’t obey any of the traffic laws. I’m not a fan. Glad your luggage arrived! I do enjoy your posts and photos each day. While I am not a fan of gazpacho, the cantaloupe gazpacho did look inviting for a hot day. I am somewhat of a risk taker when it comes to trying new foods, so I would have chosen the fois gras with the bean salad. 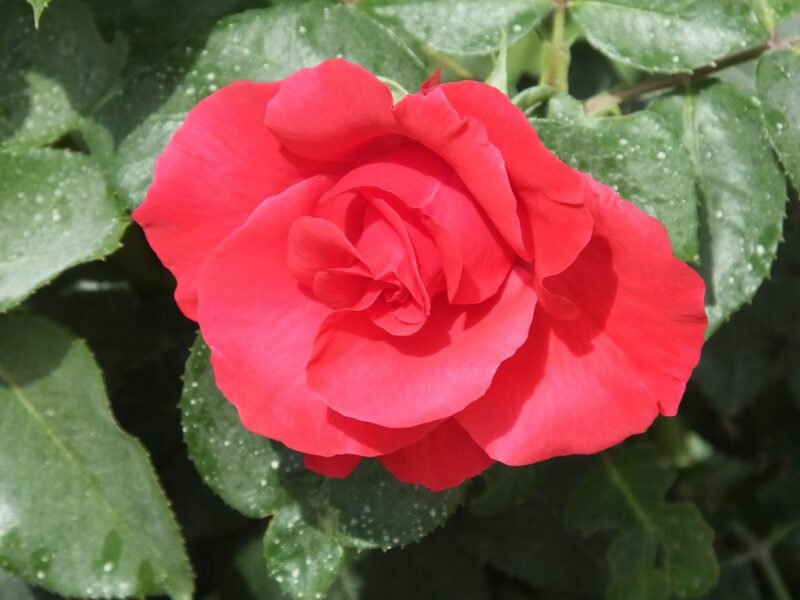 The blog is totally fun for us! What joyful, joyful news about your daughter coming to Paris! Am absolutely thrilled for you (and her!) and know you will all have the most marvellous time. Just so special and wonderful. Yay!!! 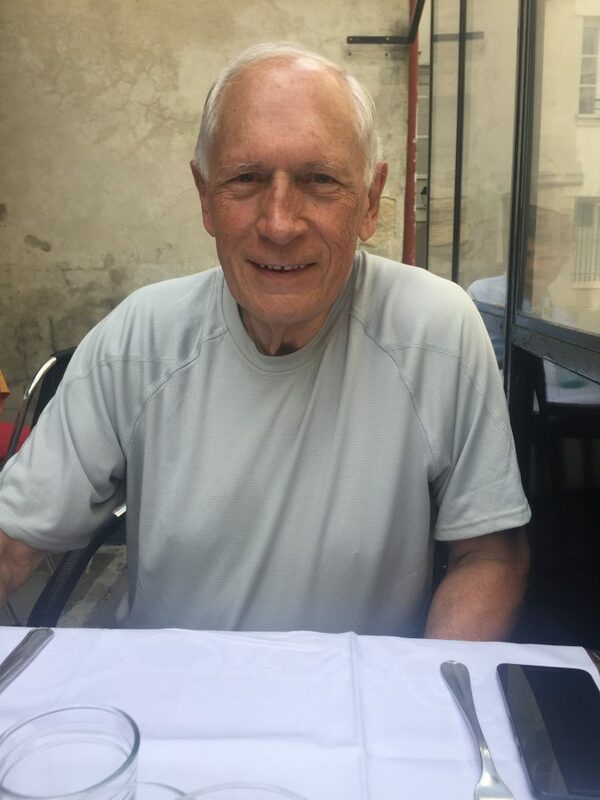 Missing Paris already bien sûr. Cheers from the English seaside and have fun unpacking your suitcase! I bet everything is all put away already. Another yay! Paris is missing you. Glad you’re home safely. Yes, everything is washed and put away and glad that little escapade is over, never to be repeated hopefully. Happy to hear your bag has arrived and how wonderful your daughter will be joining you. Yes, it surely was a wonderful day. Quite warm here, but things have improved-we’ll catch up on that when you return. In the meantime, enjoy yourselves. I so look forward to your blog and photos. Thank you for sharing.